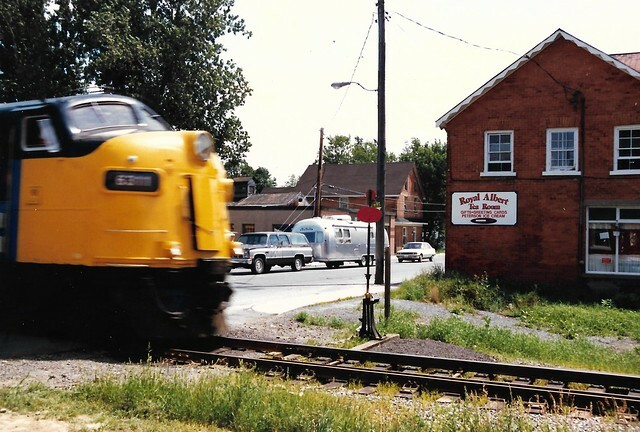 A few weeks ago there were some popular posts on Facebook group of old trains running through Stittsville — here’s a few of them. Unfortunately the Bradley’s General Store in the background is no longer there — burned down a few years ago. 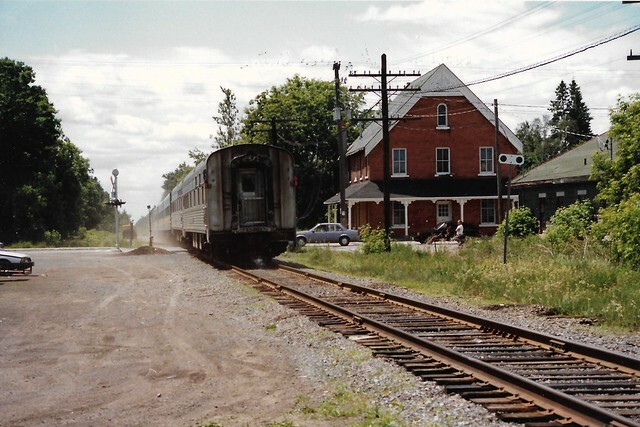 For your reading pleasure, here’s an account of the last train trip that ran through Stittsville — in 1990. Imagine if those tracks had remained in place and you could take the train in to Ottawa and back like in ‘the good old days’ instead of having to wait how many years for the LRT to appear! The route was certainly more direct than the LRT is ever going to be. It was very short-sighted of them to take up the tracks. Does anyone remember what it cost to ride the train in to town? All the politicians that have parks, arenas, and streets named after them should be renamed for their short sightedness. I took OC Transpo downtown for the first time and it was the ride from hell. this was a great post … ! The photo taken in July 1965 is of Bruce Chapman and was taken by Bill Linley. I remember my mother Edna Craig taking my brother Daryl and I to the Stittsville station where Craig Hobbs was busy tapping out morse code. The train picked us up and we ended at the Union Station across from the Chateau Laurier Hotel. We would walk under Rideau street in the tunnel and swim in the Hotel swimming pool. Always enjoyed watching the train go through Stittsville.